Apple settled its first patent battle against an Android smartphone maker over the weekend. In a joint announcement with HTC, the company said it had reached a global settlement with the Taiwanese firm that includes the dismissal of all current lawsuits, in addition to a 10-year licensing agreement that covers current and future patents held by one another. Financial terms of the deal were kept under wraps, though Shaw Wu, an analyst at Sterne Agee & Leach estimates Apple is receiving $6 to $8 per phone, or $180 million to $280 million a year from HTC. 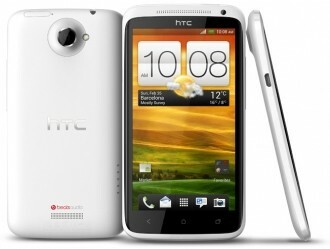 Apple and HTC had been battling over smartphone patents since March 2010. Apple made the first move accusing the Taiwanese company of infringing 10 patents related to user interface design, and HTC fired back accusing Cupertino of infringing its wireless patents. HTC got the short end of the stick, however, when it was found to be in violation of one of the patents Apple had disputed and received a sales ban in the US from the International Trade Comission. The settlement follows a $1.05 billion verdict won by Apple against Samsung in the US back in August. The Cupertino-based firm is still battling Samsung and Motorola Mobility in several courts around the world.